With the expansion of cities around the world, there is an increasing emphasis within geography to consider urban environments, and the impacts humans have on the environment more generally. This opens up opportunities for the development of human-environment investigations within the context of current urban studies. Working within the context of human impacts on their environment, it is possible to integrate studies so that they holistically examine both human and physical components of the environment. This has already been an integral part of human geography, but is novel within physical geography and geomorphology specifically, where the sub-field of urban geomorphology has recently experienced some growth from the framework of human-environment interactions. In addition, sustainability has gained attention within geomorphology, and there has been, for instance, a recent special issue on ‘Human Impacts on Landscapes: Sustainability and the Role of Geomorphology’ published in Zeitschrift für Geomorphologie by Hudson et al. (2015). This approach recognizes the importance of long-term studies within the domain of geomorphology, and is applicable to studies of environmental change that is currently affecting cities and shaping urban geomorphology. The key landscapes examined within an urban context are still diverse, encompassing (for instance) rivers, karst, uplands, deserts, tropics, etc. Within this special section on ‘Geography, Urban Geomorphology and Sustainability,’ there is a focus on rivers, karst and applied geomorphology, with six papers delineating urban geomorphology in settings where there is a concentration of urbanisation and natural environments have been altered by humanity and natural processes, which in turn modify human structures, as is the case with the weathering of historical buildings and structures. Case studies are central to this special section, illustrating key contemporary issues from a long-term perspective and considering the future of human-environment interactions and landscape change. Specifically, this special section of Area presents a diversity of papers that range from Europe to North America. First, Thornbush (2015) provides a long-term assessment (16 years) following the implementation of the Oxford Transport Strategy (OTS) in central Oxford, UK. She employs the historical buildings located in the city centre as a measurement tool in order to gauge post-OTS environmental change. Second, Randall and Baetz (2015) relay their land-use diversity index (LDI) as a GIS-based model to determine sub-urban sprawl applied in Ontario, Canada. Third, Martín-Díaz et al. (2015) offer a post-war examination of planning policy and land-use planning in Sarajevo that is relevant to urban development within geomorphology. The second half of the special section focuses on rivers. A fourth paper by Sammonds and Vietz (2015) approaches urbanisation in greenfield sites from the perspective of stream naturalisation. Fifth, Shuker et al. (2015) likewise approach stream restoration, but from a hydromorphological perspective. Finally, Booth and Fischenich (2015) similarly address stream restoration through their channel evolution model that focuses on urban sustainability. 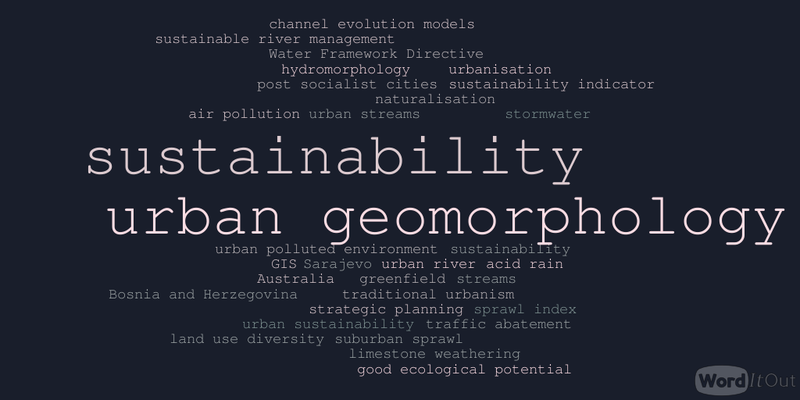 Together, these papers contribute towards the development of urban geomorphology from a sustainability perspective of long-term landscape change. Theirs is an integrated approach of human-environment interactions in urban settings. With more human impacts on the natural environment, it is necessary to acknowledge and consider more human-affected landscapes as well unaffected natural landscapes, which are increasingly harder to find. Separating the human-nature signatures in the environment is becoming a challenge; however, such interdisciplinary investigations could make a contribution towards the development of urban geomorphology and sustainable environments. 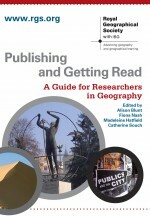 About the author: Dr Mary Thornbush is an Adjunct Professor within the Department of Geography at Brock University, Canada. Her research interests include: interdisciplinary and applied geomorphology; weather science and landscape change; and geomorphological fieldwork and field-based training. This entry was posted in Area and tagged acid rain, air pollution, Australia, Bosnia and Herzegovina, channel evolution models, GIS, good ecological potential, greenfield, hydromorphology, land use diversity, limestone weathering, naturalisation, polluted environment, post socialist cities, Sarajevo, sprawl index, stormwater, strategic planning, streams, suburban sprawl, sustainability, sustainability indicator, sustainable river management, traditional urbanism, traffic abatement, Urban, urban geomorphology, urban river, urban streams, urban sustainability, urbanisation, Water Framework Directive on September 14, 2015 by RGS-IBG Managing Editor: Academic Publications.